The eye is a complex organ that is made up of many parts and layers. Each part plays its own role in ensuring that visual images can be received, focused, and processed. If any part of the eye becomes damaged or compromised by disease, a person’s vision may suffer. Central vision loss impacts a person’s middle field of vision. Even if a person maintains clear peripheral vision, it will be difficult to make out details and complete daily functions if central vision is poor. At Retina Associates, P.A., our experienced eye doctors offer a range of retinal services to preserve the health and function of the retina, as well as to restore clear vision to those experiencing vision loss. Here, we discuss the most common retinal conditions that can affect central vision for our Kansas City, MO patients. The most common cause of central vision loss is age-related macular degeneration. The macula is the center area of the retina, which is a layer of nerves that sits at the back of the eye. The macula is primarily responsible for a patient’s central vision. There are two forms of age-related macular degeneration: dry macular degeneration and wet macular degeneration. Each type of age-related macular degeneration compromises the eye in its own way, but both can cause a loss of central vision. Dry macular degeneration causes the macula to wear down, and results in the formation of small clumps of protein that can obstruct central vision. Wet macular degeneration is caused by abnormal blood vessels that can leak and cause scarring of the macula, which also leads to compromised central vision. A common cause of central vision loss in patients with diabetes is diabetic retinopathy. This condition is most likely to affect diabetic patients who do not keep their blood sugar levels under control. High blood sugar levels can lead to inflammation of the blood vessels within the retina. If swelling is severe, these blood vessels could leak and obstruct a patient’s central vision. Another possible effect of high blood sugar levels is an interruption of blood flow within the retina. This can happen if the blood vessels in the retina become closed off. Without proper blood flow, the retina will not function properly and central vision will suffer. Retinal vein occlusion, or RVO, is an eye disease that causes the veins within the macula to become blocked. This type of blockage prevents blood from flowing out of the eye, toward the heart. When a blockage occurs, blood will build up and the macula is likely to become swollen. Inflammation of the macula will compromise central vision. In most cases, patients suffering from RVO will notice that the central vision has become distorted or blurry. 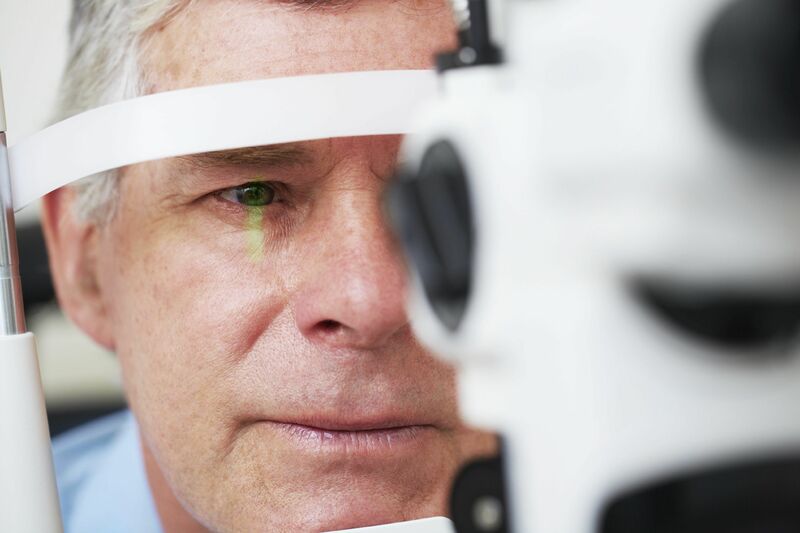 It is important to address RVO as soon as possible, because this condition does have the potential to cause permanent vision loss. A macular hole or pucker may be a simple side effect of aging, or it can occur as a result of damage caused by other retinal conditions. Puckering is most often the result of scar tissue within the macula, while a hole describes a small area of the macula that has completely worn away. Surprisingly, a hole or puckering within the macula rarely leads to a complete loss of central vision. However, when these imperfections are present, the vision is likely to appear blurry, wavy, or otherwise distorted. Retinal conditions can negatively impact central vision, but with proper treatment, most of these conditions can be managed so that a patient can enjoy clear, focused vision. If you would like to learn more about retinal conditions that can affect central vision, and how they can best be treated, contact us at your earliest convenience.